I had to fire a client last year. It scared me to death…after all, I’m a freelance writer. My livelihood depends on good relationships and good recommendations from my clients. The “writer” part of me is like any other creative. I’m “sensitive.” I suffer from “Sally Field Syndrome” (you LIKE me, you REALLY LIKE me!). I’m good at what I do, and I want it to be respected and valued. I’m highly sensitive and responsive to criticism and very eager to please. If I’m not careful, I’ll twist myself in knots trying to make my clients happy…even at the expense of my own financial well-being and sound mental health. But the businesswoman in me needs to be clear-headed, logical, and cold-blooded if I’m to survive as an entrepreneur. Truly a one-woman shop, I have to rely on myself to stay motivated. And if I’m not happy at work, I can’t be productive. After a short, stormy relationship with one particular client, Jan-the-Businesswoman whispered in my ear: “Let this one go. The relationship isn’t worth the cost to your productivity and self-esteem.” I’m glad that Jan-the-Writer listened. I was happy to let him go, so the vacuum could be filled by healthier, more fulfilling, and frankly, more enjoyable client relationships. As a public service, I’d like give you 7 ideas to help you get the best possible work from your freelance writer. Budget for, and pay, standard industry rates. 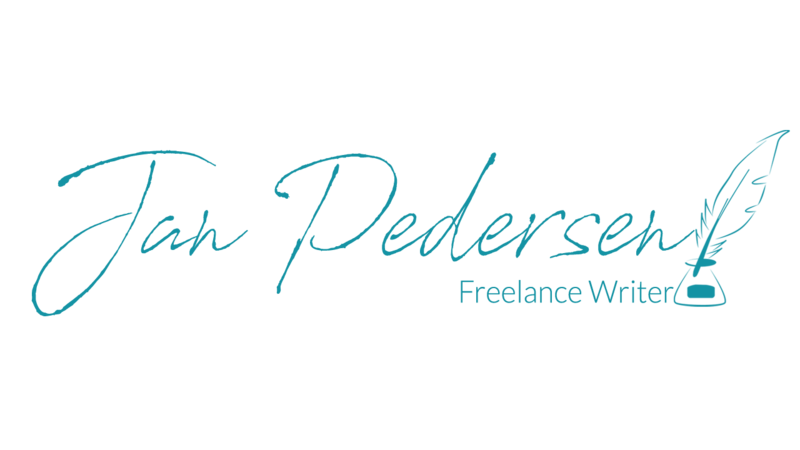 When I first started as a freelance writer, I listed my services on Elance. I quickly found out that 90% of the “writers” listed there don’t know their adverbs from their elbows. But they’re willing to write 500-word articles for a dollar apiece and 200-page eBooks from scratch for less than $500. Some of them underbid jobs that clients are willing to pay standard rates for; and they tend to sour client opinion of writers in general by producing poor-quality work. After all, you get what you pay for. And it’s your reputation on the line. If you’re curious about what “industry rates” are, check Writer’s Market or the Editorial Freelancers Association for guidelines. Price, Quality, Speed: Pick two. You can get cheap work fast but it probably won’t be of great quality. You can get excellent work at a decent price, but it won’t be fast. You can get great work fast, but it won’t be cheap. When working with your freelance writer, the best way to get a reasonable rate is to set reasonable deadlines – and factor in the time it will take your writer to research and absorb facts, industry knowledge, and audience needs, as well as make any changes to the initial draft. Give your writer all the background information necessary to complete your project – up front. Writers write. It’s what we do. We are professionals. We know how to use words most effectively to tell your story to your audience, as well as the basics of spelling and punctuation. You wouldn’t hire a lawyer then tell her how to prosecute your case. You wouldn’t try to second-guess your surgeon while he performed your appendectomy. You sure as hell wouldn’t stand over a 5-star chef and instruct her how to boil water. If you’re comfortable with the quality of your writer’s portfolio and you’ve given her everything she needs to create your project, stand back – and let her do her job. Give specific, helpful, and timely feedback. It’s not uncommon for the first draft of any project to need refining or editing. And any writer worth her salt will expect – and budget for – one round of editing before the final payment is expected. Competent writers will refine and polish until they are confident their first draft will hit close to the mark, and will work with you until the project is complete to your satisfaction. Specific feedback is most helpful: vague generalities like “I don’t like it” or “it’s not what I expected” don’t give your writer enough information to make the edits or corrections you might want. Hire a specialist to do your routine data entry. You might be lucky enough to find someone who can write AND lay out a WordPress site AND program a web form AND position your blog photo down to the pixel. And if you are that lucky, good for you. But writers are writers, not web programmers or graphic designers. When you hire a writer, you’re hiring someone to tell your particular story in a particular way – that’s the writer’s specialty. Once you and your writer have agreed on a specific project, a specific fee, and a specific deadline, it might be tempting to tinker with the timeline, speed, or direction of the project. A writer is fully within her rights to renegotiate fees if the size and scope of the project shift too radically from the original. One of the best ways I’ve found to build a solid working relationship with my clients is to start from a Project Scope document that lays out exactly what’s needed to produce the best written product. Once we’re clear about the Project Scope, we then work from a simple Letter of Agreement. Contact me today to explore how good writing can help enhance your business reputation, improve sales, and generate more leads.